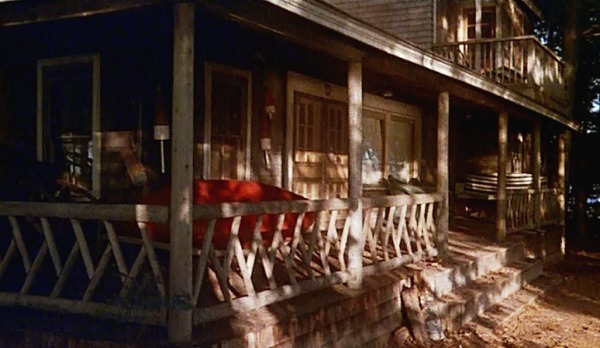 The Cabin from the Movie "On Golden Pond"
If you ever watched the classic Henry Fonda-Katharine Hepburn drama On Golden Pond and wished your family had a lake house like theirs, raise your hand. I know I have! 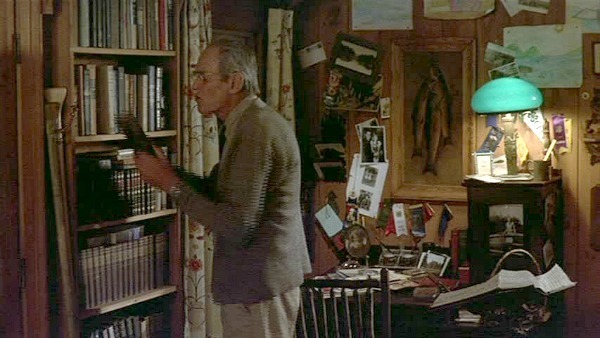 It was filmed on location in a cabin on Squam Lake in New Hampshire. Let’s take a look back at the rustic vacation home where Ethel and Norman Thayer spent their summers. 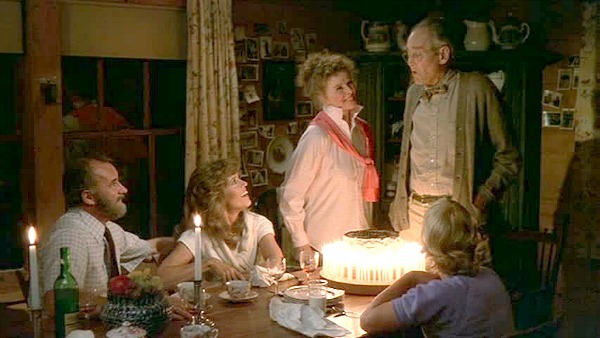 On Golden Pond was adapted from a popular play and came out in 1981. 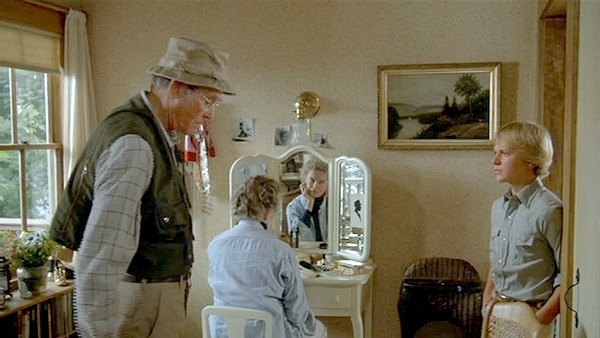 (Henry Fonda’s real-life daughter Jane), who brings her fiancé and his teenage son along. She purchased the rights to the play specifically for her father, Henry Fonda, to play the role of the cantankerous Norman Thayer. 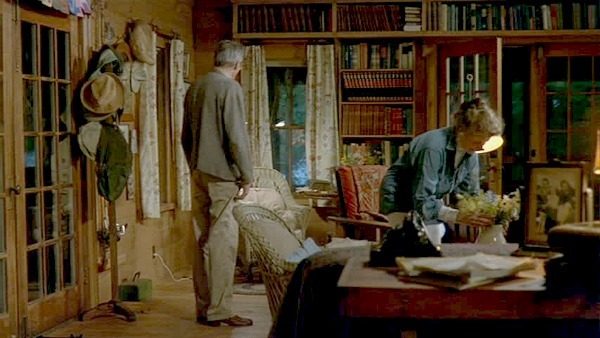 The father-daughter rift depicted on screen closely paralleled the real-life relationship between the Fondas. 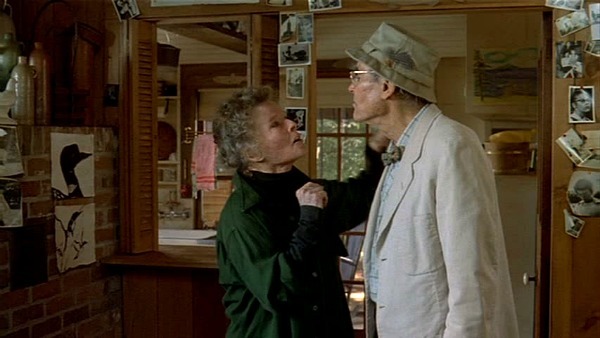 Despite their many common acquaintances and long careers in show business, Henry Fonda and Katharine Hepburn not only had never worked together, but had never met until working on the film. 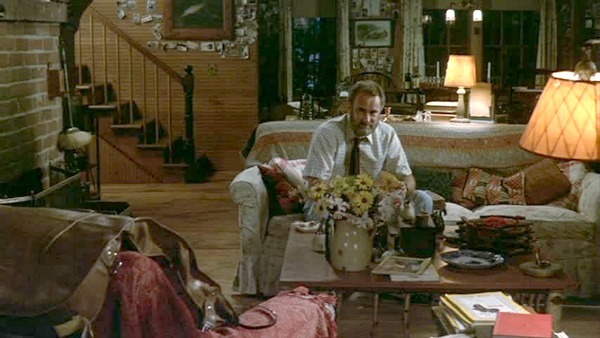 Dabney Coleman played Jane Fonda’s fiance Bill Ray. One of my favorite things in the cabin are all those old photos tacked up on the walls. 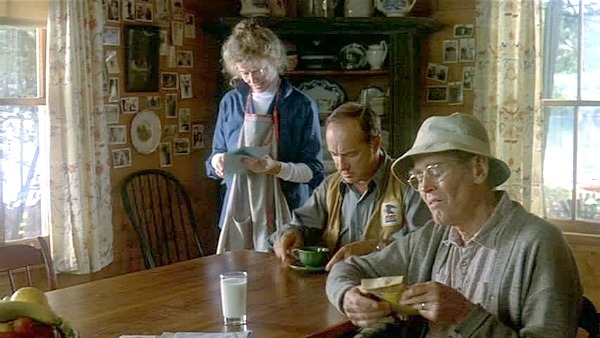 It’s a great detail the set designers came up with that gives you a sense of the family’s history in the house. 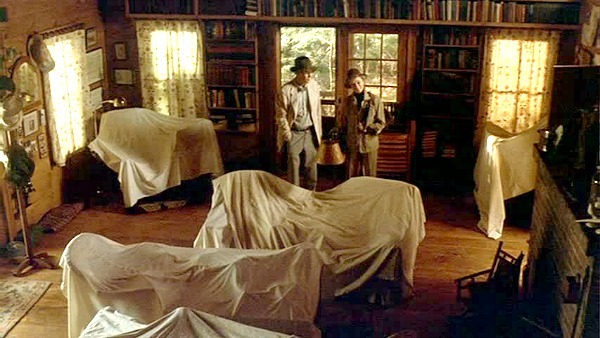 The house used in the film was leased from a New Hampshire physician and was modified significantly for the shoot. 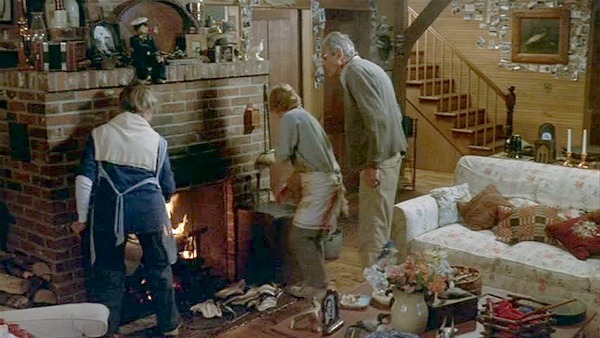 The production company was contractually obligated to return the house to its original state after the film wrapped. 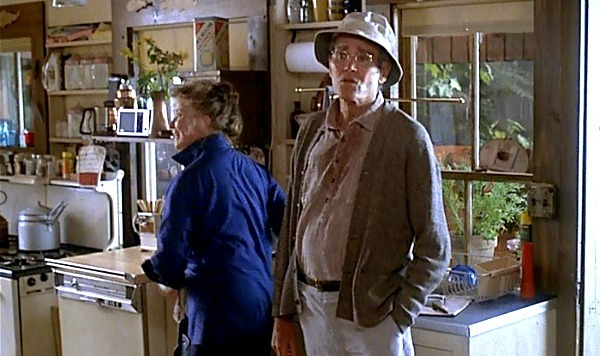 On Golden Pond was the second highest grossing film of that year, behind Raiders of the Lost Ark. 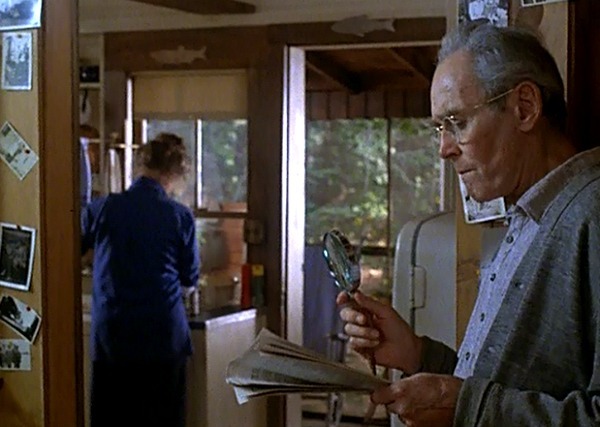 Henry Fonda won an Oscar for this role but was too ill to attend the ceremony. Jane accepted it for him. The cabin is now a vacation rental. Update: Although it no longer seems to be a vacation rental, you can watch this video that a visitor uploaded of the cabin when it was. 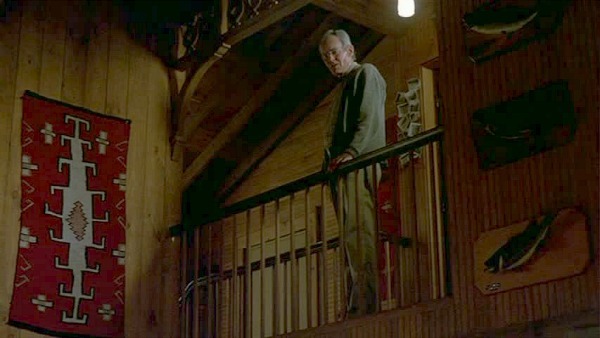 He says the property was originally a summer camp. 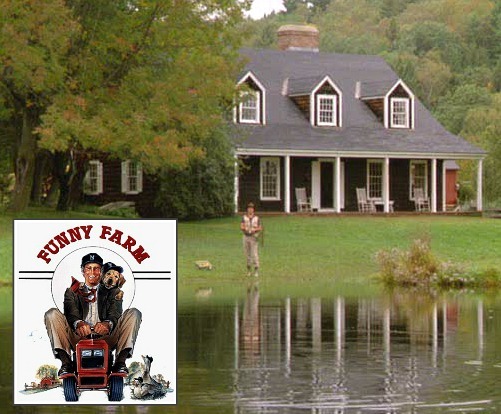 Did you know that the leftover footage of them driving through the New Hampshire countryside at the beginning of “On Golden Pond” was later used for the opening credits on the sitcom Newhart? 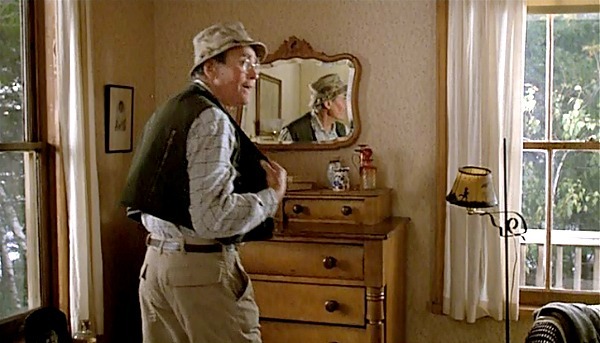 Darren McGavin played the furnace + Bumpus dog fighting dad in A Christmas Story. Dabney Coleman was the boss in the move 9-5. 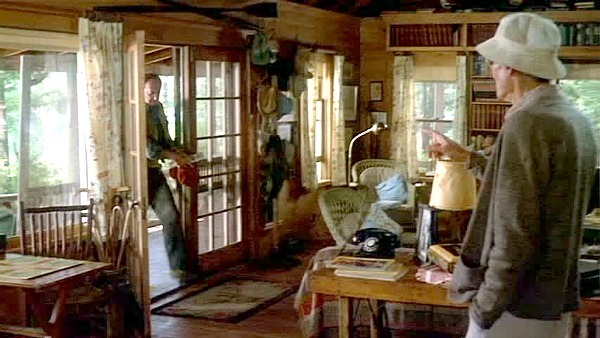 One of my favorite movies, and yes, I would take that cabin, as is, in a heartbeat. We love going to New England in the summer to escape the Virginia heat. I always loved that movie and it was one of my late grandmothers favorites. I could certainly see myself spending a summer in that lovely cabin. My husband would spend all his time cruising the lake in that beautiful antique wooden Chris Craft boat. That area in New Hampshire is so beautiful! Loooove that movie – brings back good memories revisiting it. 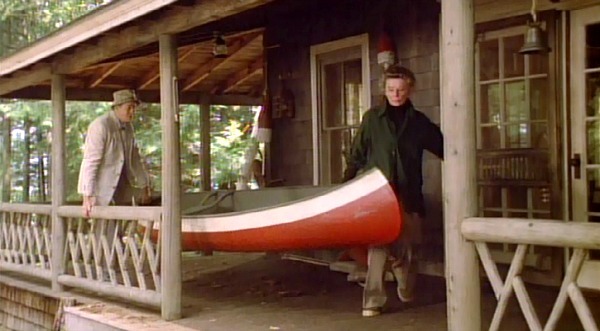 And yes, I would take that lakehouse in a heartbeat! Would love to see the inside of it today! You know how much I love seeing posts like this one… there’s the best! Thank you for collecting all the information and images for us. I know this is not easy to prepare! Have a very Blessed week, my friend… so much LOVE! Julia, thank you, thank you, thank you for featuring this cabin. It’s one of my all time favourite movie houses. 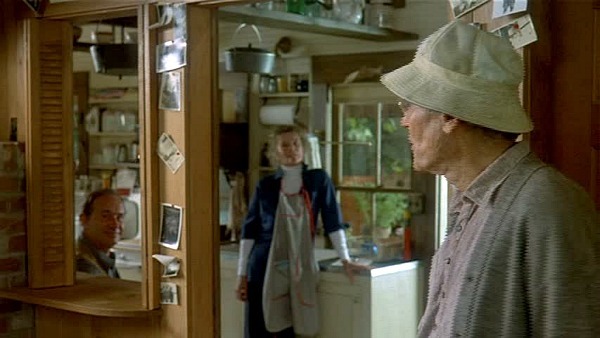 I loved the film with all the strong characters in it but for me the cabin was always the brightest star with the large windows, French doors, quirky decor and a lived in feeling. Blissful place. Thanks for sharing the movie and the blog love! That movie was my all time favorite movie for soooo many years until You’ve Got Mail came along. (I guess my love was fickle.) 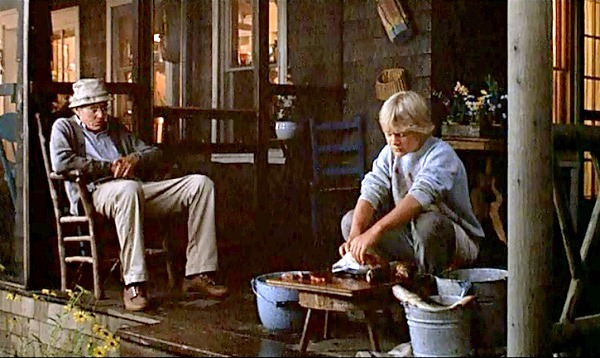 I wanted a cabin on a lake for a very long time after the movie thanks to On Golden Pond. Wouldn’t it be such a gorgeous place to live…not just vacation in?! We just watched About Time last week. It is a good movie! 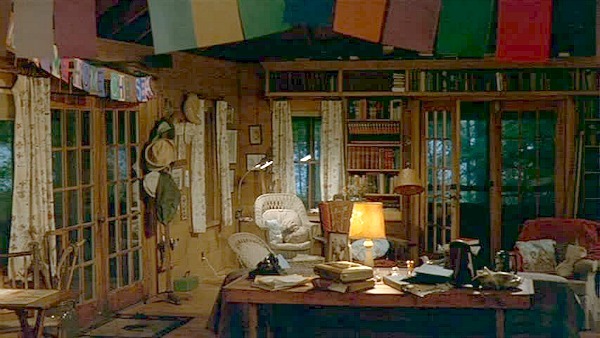 Wonderful cabin full of the stuff of life (at least from a great set designer’s view). Love it. i have been dying for you to do this cabin! one of my all time favorite movie houses. thank you. This is one of those movies that came out when I was a kid or teenager with angst, and I’ve never given it its proper view. Seems like I have a date with Netflix soon. 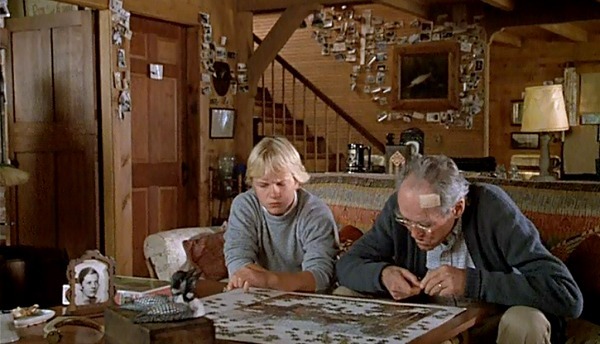 Thanks for featuring this wonderful movie and cabin. I’ve always loved this movie. I had such a crush on the boy who played the stepson when I was a kid! 🙂 This cabin and it’s decor are the epitome of what a cottage should be, in my opinion. It looks so much like the cottages I visited as a child, and my own cottage has a similar feeling as well. Thanks for sharing, looking at these pictures makes me wan’t to watch that movie again! Definitely one of my all-time favorite movies. I live in NH not far from Squam. 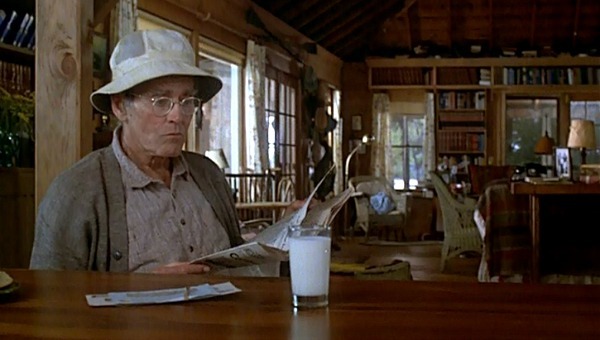 I went once to Holderness and saw the marina where the boat scene was filmed at the gas pumps, went into that store, and ate at Walter’s restaurant, which was named after Walter the fish. What I need to know is how to DRIVE to the cabin. It seems to be Center Harbor’s best kept secret, lol. I asked the realtors who rent it (Luxury real estate, I think), but got no reply when I asked for driving directions. It’s probably quite expensive, but I’d probably find a way to cough up the money to stay there. Question is …… does anyone know how to get there by car? I think I was close, as someone “leaked” out Dog Cove that day. I very much appreciate this post and hope to get a reply. Thank you. That’s interesting. I don’t know the area well enough to have any idea how to drive there, but if someone else does, fill us in!